I heard about that grain of rice fact – coupled with the logistics of the flight path, it’s just mind boggling. 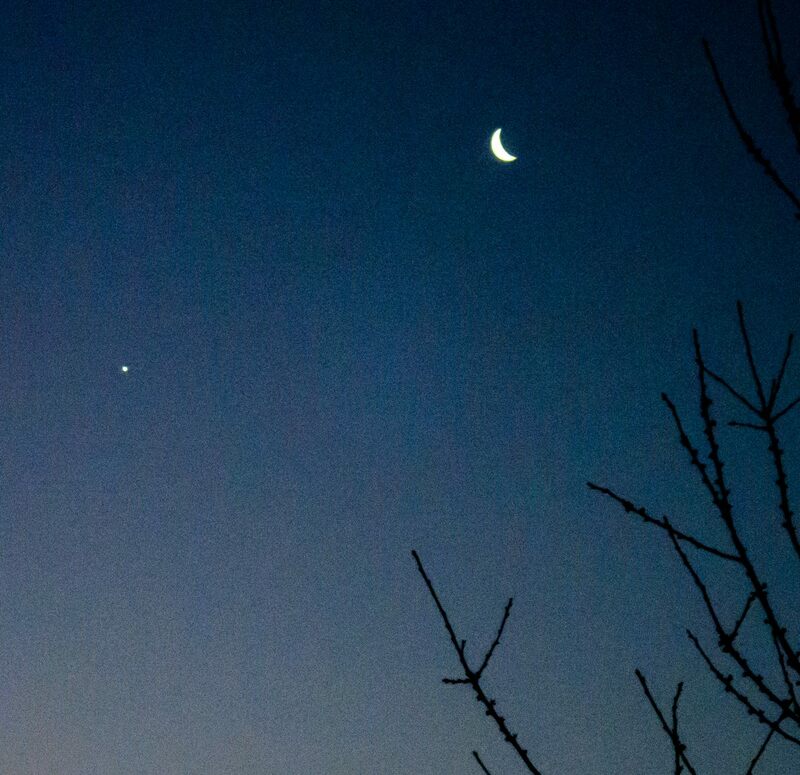 And there will never be too many pictures of Venus with the crescent moon – that is a pairing that should get more “press.” I wonder why there aren’t more myths or stories or sayings about that pair. Yes, it is baffling…and how about that photo of that ‘snowman’ from the time our planet was formed…remarkable, truly so.